Vest material is lightweight, breathable polyester. Solid LimeYellow and Solid Orange polyester are ANSI-certified fabrics. 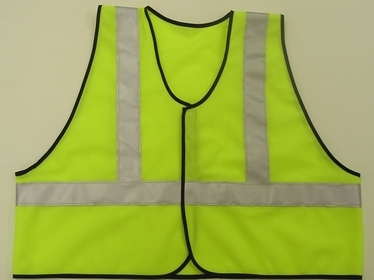 All the Orange & Yellow vests featured on this page meet ANSI 107-2004 High Visibility specification, and are fire-retardant material. 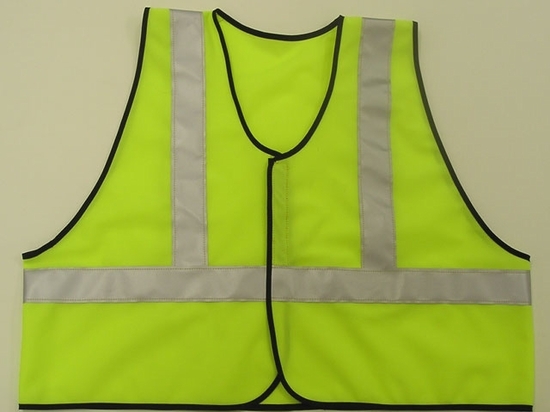 Although any vest color may be chosen, only Orange and LimeYellow vests are ANSI-certified colors.